Take Your Family on an Adventures by Disney Vacation! Disney is a household name, but Disney vacations don’t just stop at Disney theme parks! Adventures by Disney’s amazing vacation packages offer immersive experiences for travelers both young and old and offer a unique family vacation with the Disney quality we know and love. These itineraries are perfect for families ready to venture out and explore beyond the theme park. 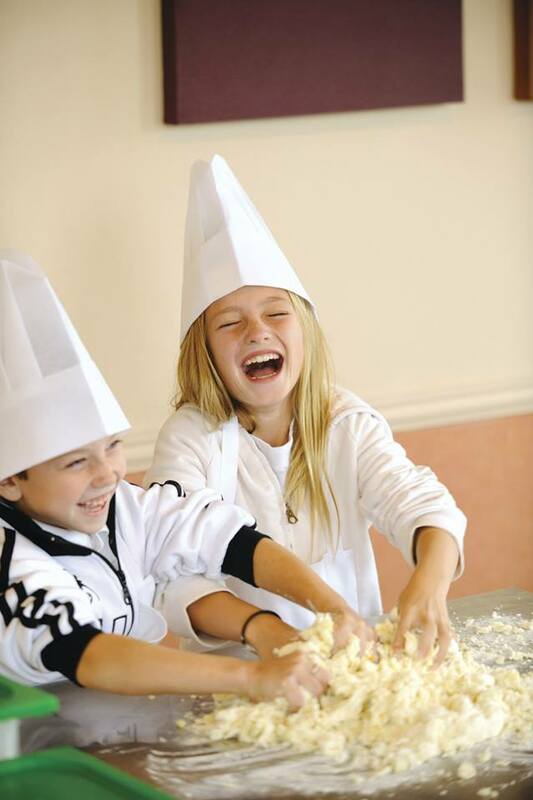 However, an Adventures by Disney vacation isn’t limited to just families! Adults are able to select from exclusive adults-only dates with grown up itineraries in many of the destinations offered! What Makes an Adventures by Disney Vacation so special? Destinations-Numerous vacation itinerary options located in over 30 destinations on 6 continents for you to choose from. 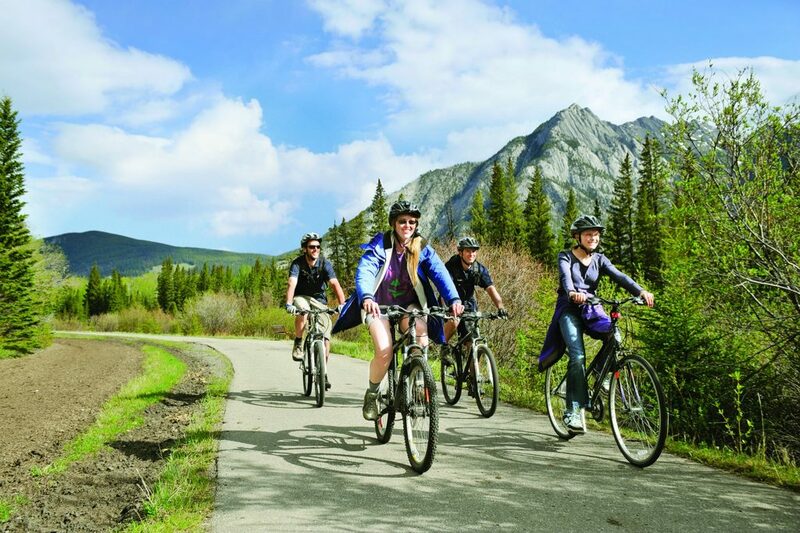 Adventure Guides-Adventures by Disney vacations include two Adventure Guides per departure. Adventure Guides take care of every trip detail, allowing you to relax and soak in the destination. Unique Itinerary Items- Regardless of your itinerary selection, your vacation will come complete with excursions and activities that result in amazing lifetime memories. Insider Access- Many vacation packages offer experiences, but an Adventures by Disney Vacation also offers extraordinary experiences not available to the general public. These can range from private dinners in unique locations (like castles), to private tours and even backstage access. Authenticity- Immersive vacations with the opportunity to experience a destination’s traditions, customs and daily life through the help of a local expert. This allows group members to do more than just collect a passport stamps and results in a more authentic vacation experience. 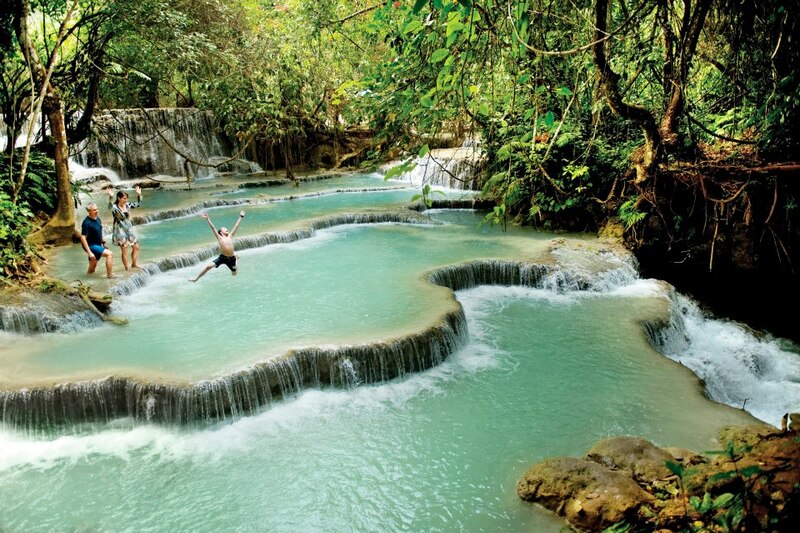 Itineraries that allow for a quick USA vacation getaway. 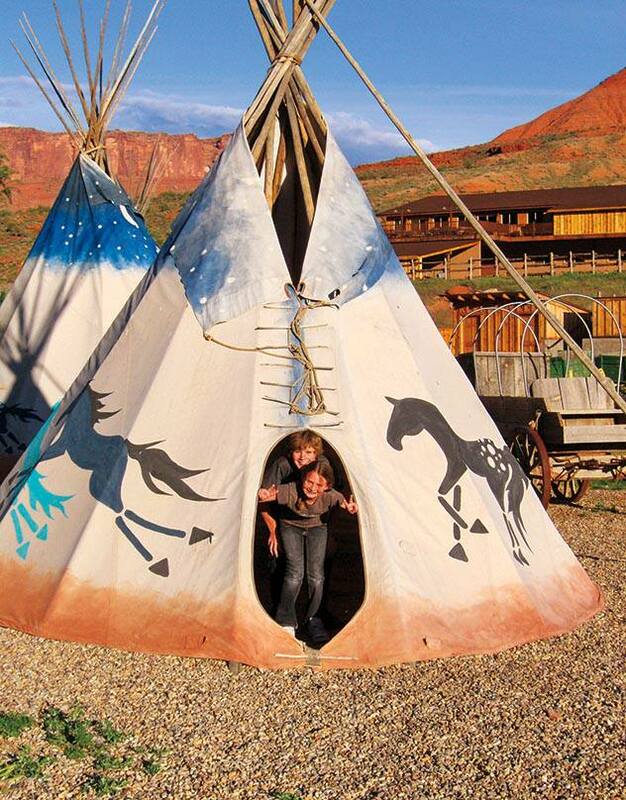 Itineraries which are perfect for families, multi-generational and adults-only vacations. River cruise options for families! For example many river cruises do not allow, or have programs tailored for children. Which makes an Adventure by Disney itinerary with a river cruise very exciting! 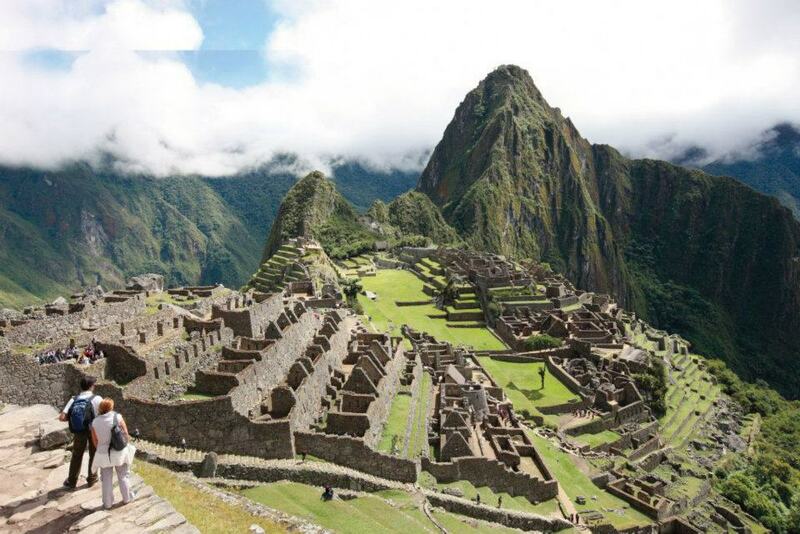 Top destinations like Alaska, Iceland, Italy, Greece, Peru, Costa Rica and Spain to name just a few. 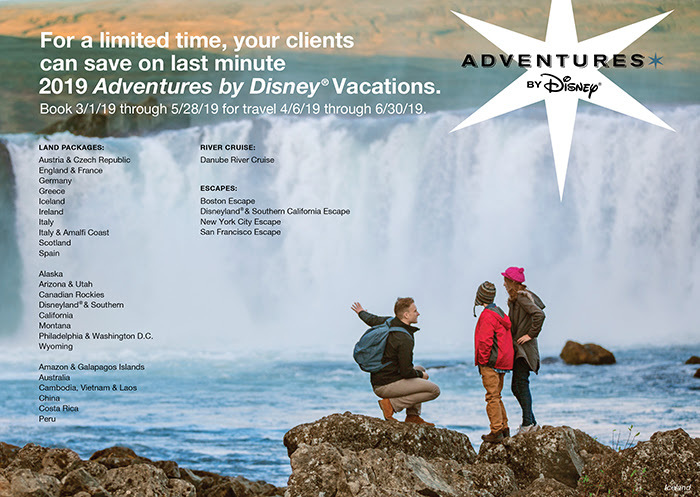 For a limited time Adventures by Disney is offering great discounts on a number of destinations for 2019 late Spring/Early Summer travel! Contact us to get started planning your amazing Adventures by Disney Vacation! This entry was posted in Blog, Disney. Bookmark the permalink.